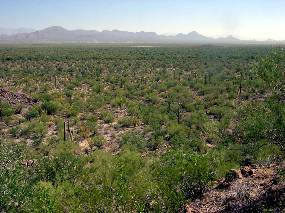 The Roskruge Mountains in the southern end of IFNM are a long, low range of mostly rounded hills. 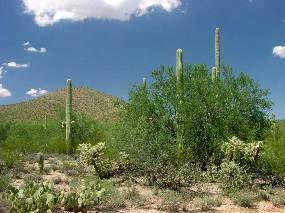 Two saguaros emerging from their nurse tree, a large ironwood. 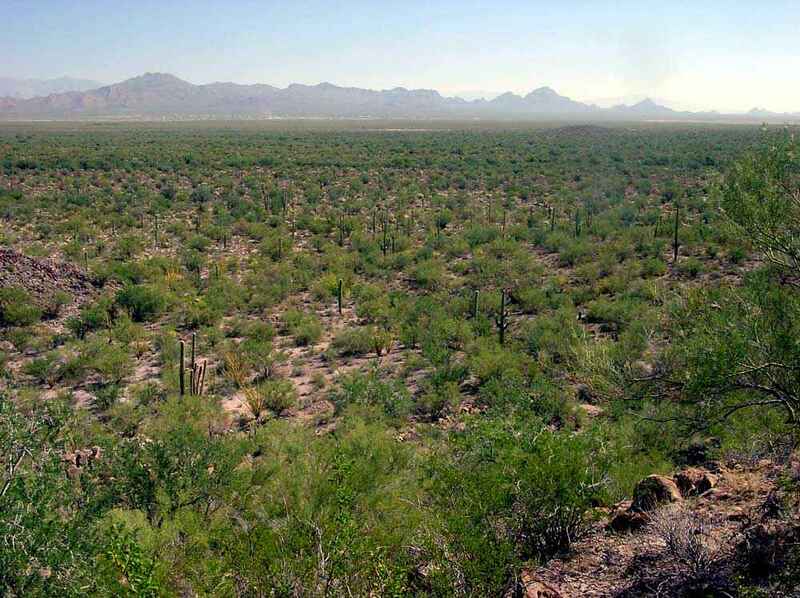 The eastern bajadas of the Roskruge Mountains support an extensive, dense stand of Arizona Upland forest. 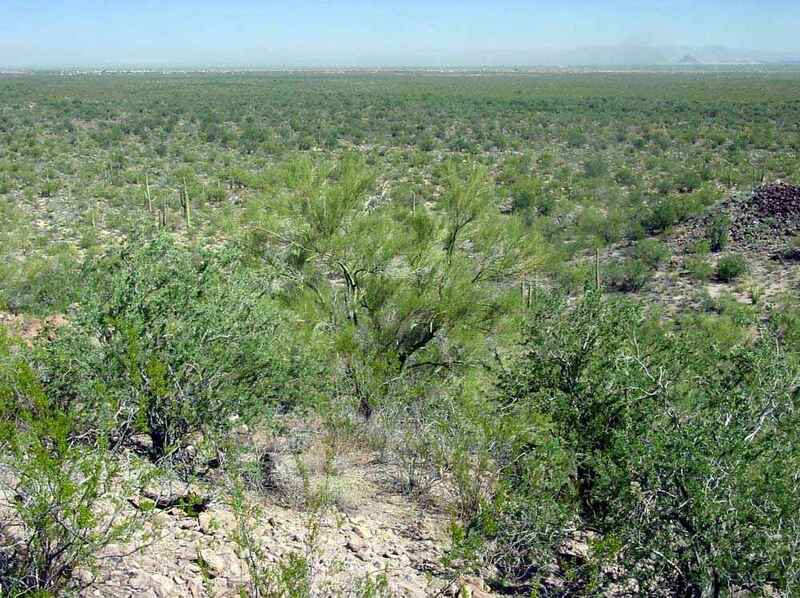 In both of these scenes taken from Cocoraque Butte ironwood trees (the darker green ones) are codominant with palo verdes. 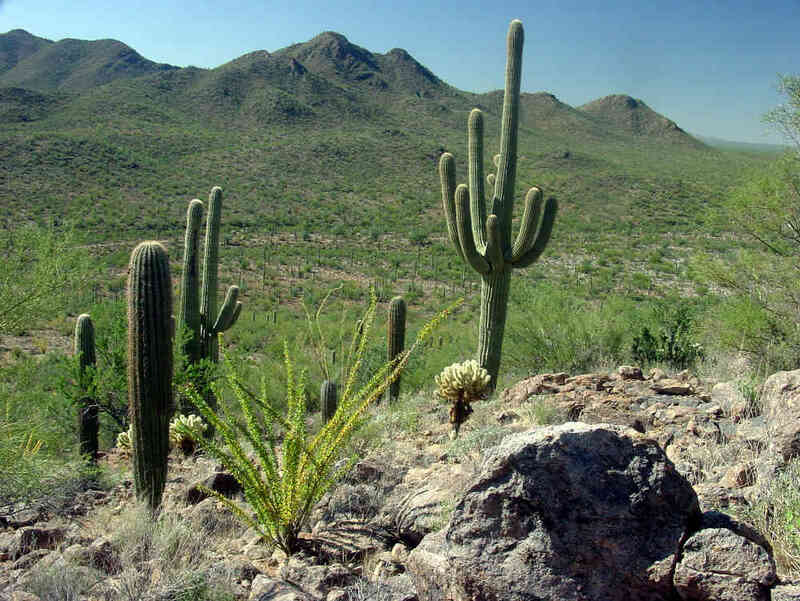 In the left image above the Tucson Mountains (Saguaro National Park) span the horizon. 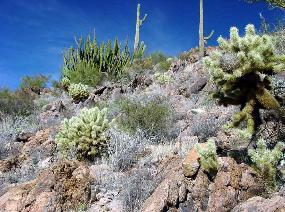 Large washes support larger trees than the slopes, and one different species. 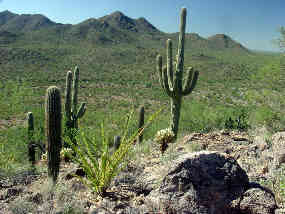 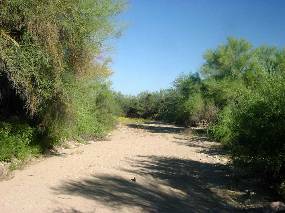 Blue palo verde (Parkinsonia florida, above left) requires more water than rainfall provides and grows only in large drainages. The wash on right has several large ironwood trees. 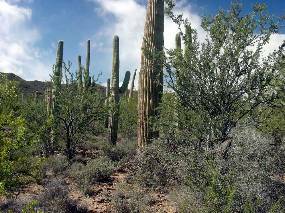 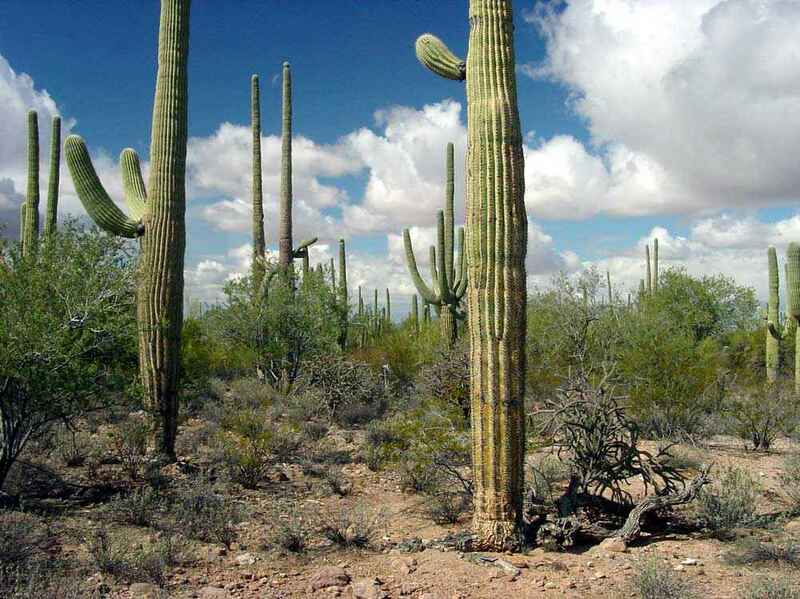 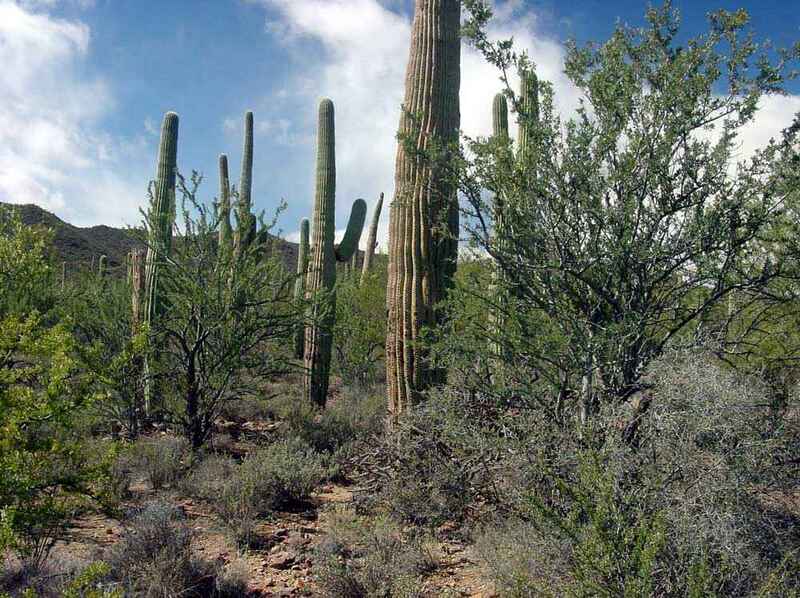 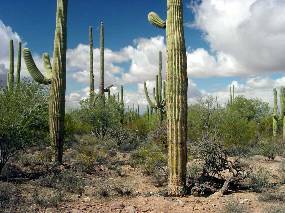 This region on a bajada of the Roskruges has soil that stunts trees but not saguaros to shrub size. 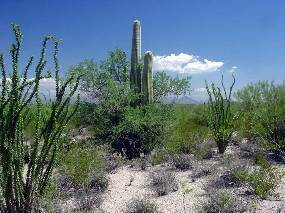 But the rainfall is adequate to support dense vegetation. 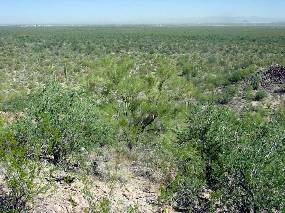 The result is a very high tree density of more than 100 per acre; not bad for a desert. 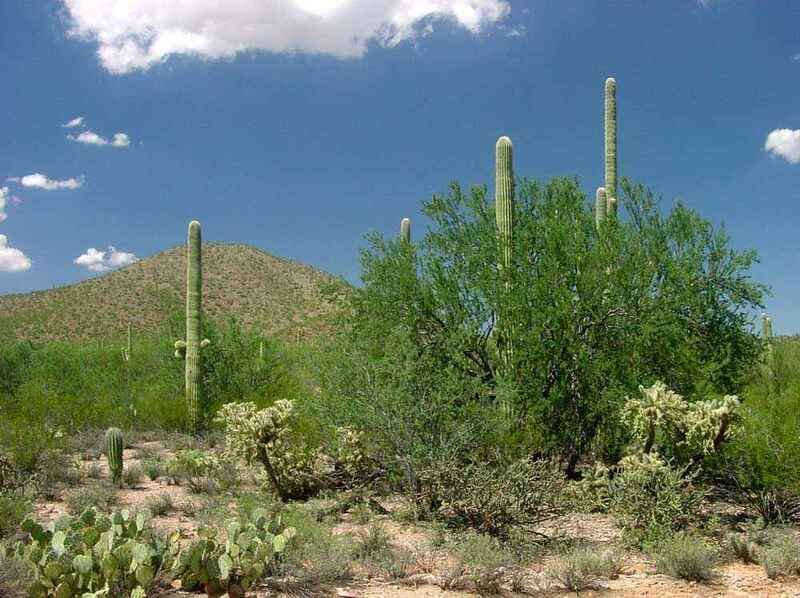 There is a single huge organ pipe cactus in IFNM. It grows on a warm south slope above the colder valley floor. 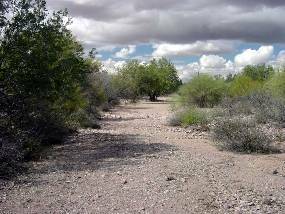 A serious drought spanned the two years of our survey. It was unusual to see ocotillos and other plants in lush leaf.